Welcome friends, family, and others to your space with southwestern charm! 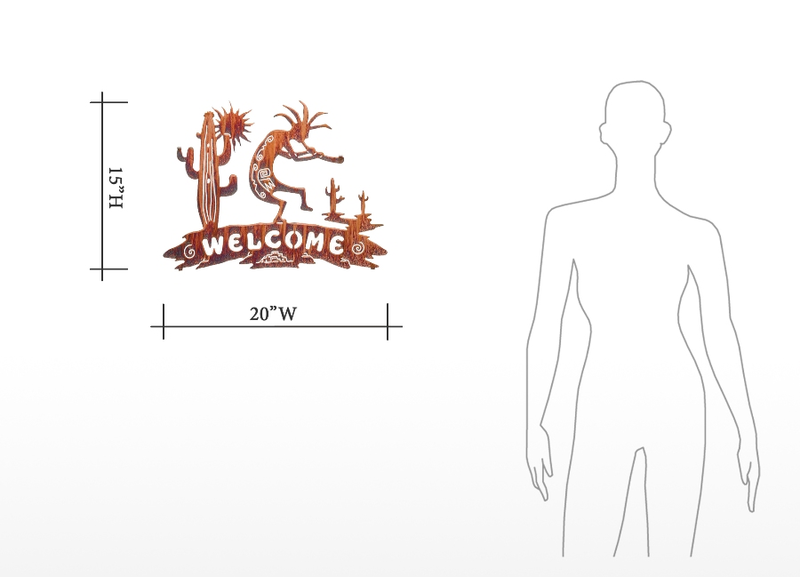 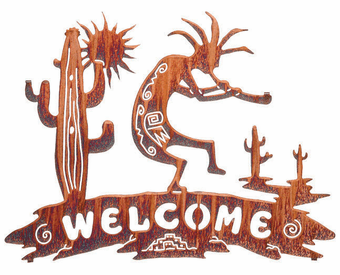 The Kokopelli Welcome Metal Wall Hanging depicts a Kokopelli musician, his horn in hand, standing amidst cacti and dancing atop a banner that reads “WELCOME”. 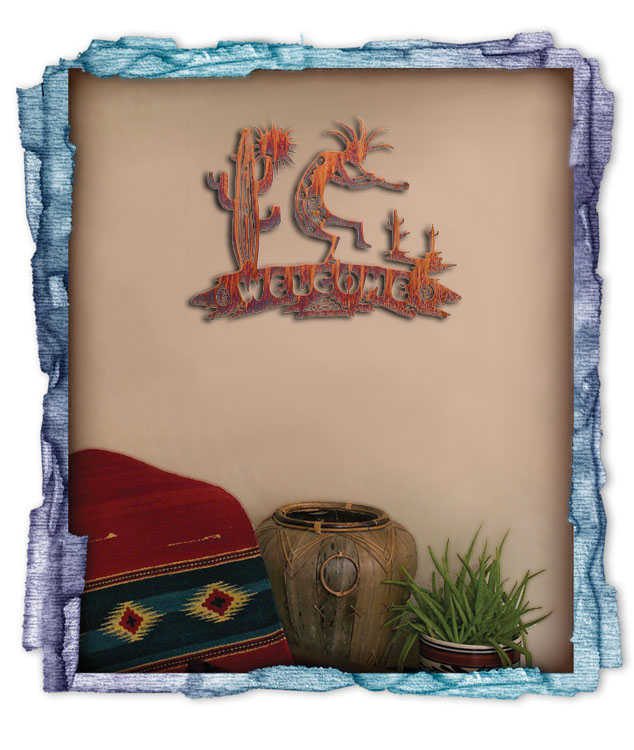 Detailed metal wall art benefits from precise laser cutouts and is destined to become a winner in your home decor!